aden + anais are one of my favourite baby brands. 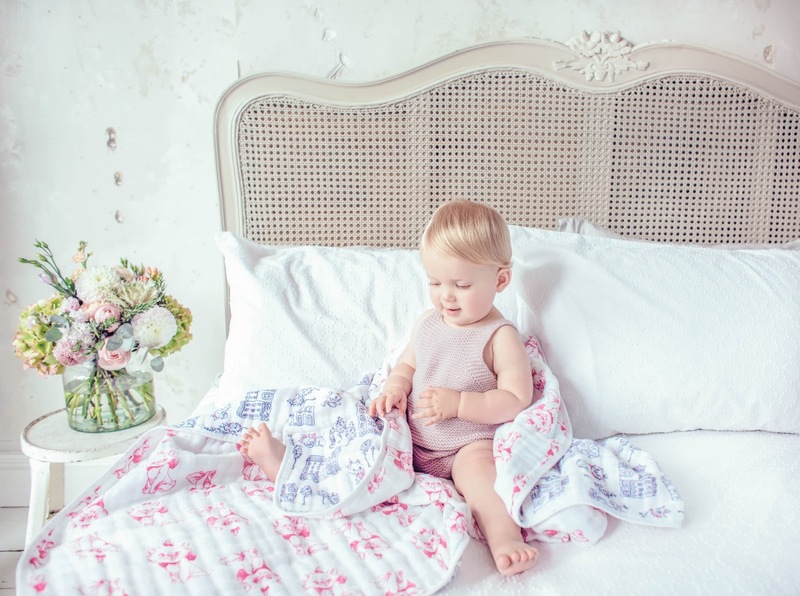 I've used their gorgeous products with both of my boys and have fond memories of swaddling Beau in their gorgeously soft, summery designs when he was born in May 2016. I was very excited when aden + anais collaborated with Disney Baby back in 2016 and I had Beau all swaddled up in Winnie the Pooh designs, as well as both boys cosy underneath their Bambi dream blanket. 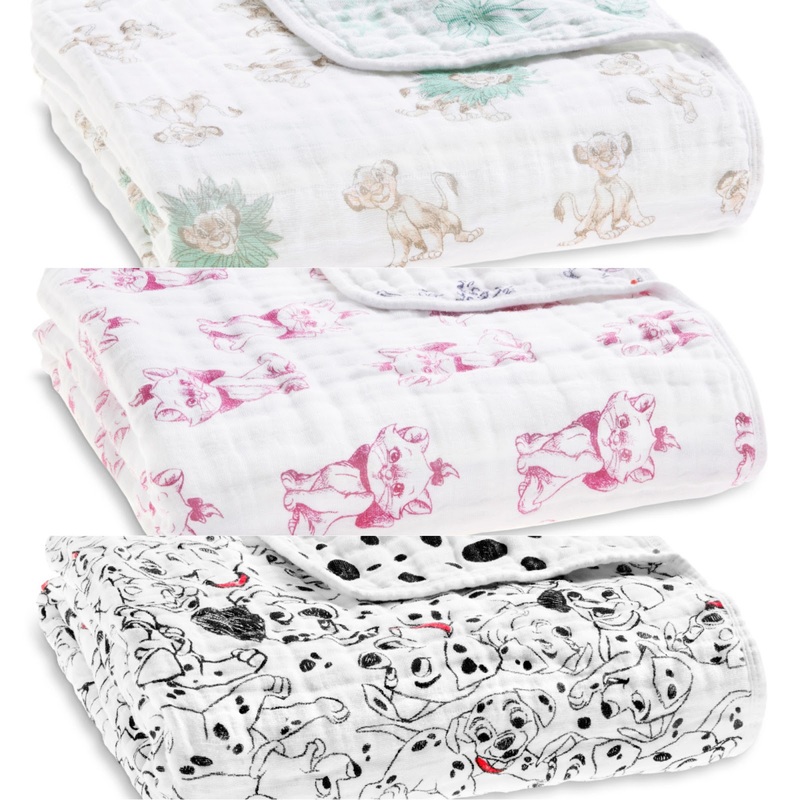 aden + anais x Disney Baby have now released three new prints to their range: The Lion King, 101 Dalmations and Aristocats (Marie). As a lover of all three films I think the designs are just beautiful and so collectable too - I mean who doesn't love Disney, especially for their little ones? The new range includes bibs, burpy bibs, classic swaddles, sleeping bags and muslin squares, all made from gorgeously soft muslin material which is perfect for little ones to snuggle up to. 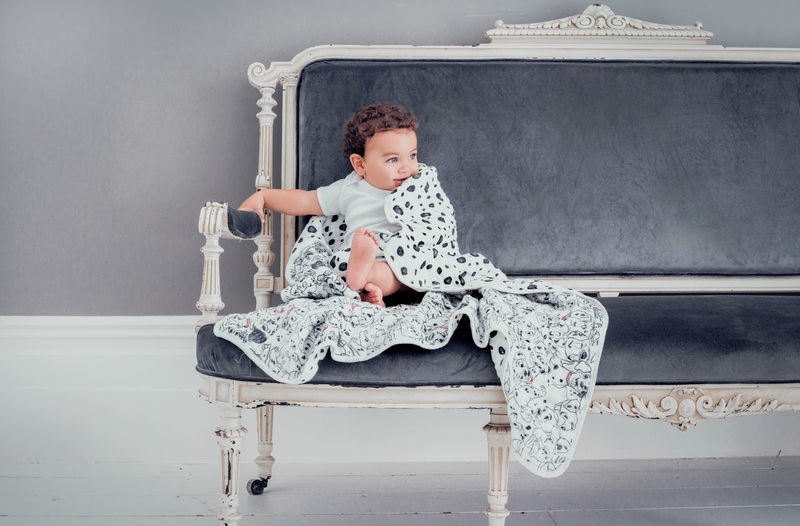 aden + anais have very kindly offered one lucky reader the chance to win a dream blanket in their choice of print from the new aden + anais x Disney Baby range. This is a prize worth £46.95! This is such a lovely prize and I personally love all of the designs so would find it hard to choose just one - although 101 was one of my favourite films when I was a child so I'd probably have to go with that! To be in with a chance of winning please enter via the Gleam widget below. Please read the terms and conditions before entering and best of luck to all who do. 2. The giveaway will run for just over two weeks, beginning on 04/03/2018 and ending on 20/03/2018. 4. The prize is being sent directly by aden + anais, so by entering you are giving permission for your details to be passed on to the person sending your prize. definitely the Lion King, although they are all gorgeous. I would choose 101 Dalmatians, as I have a Dalmatian at home and my bubbs is obsessed with her! These blankets are gorgeous, never seen anything like them before. the lion king one though love the dalmatian one too!! The Aristocats design if I am lucky enough to win. Would have to be Marie from The Aristocats, love that film! I would find it difficult to choose from these lovely designs and would love to win anyone of them. I'm really torn between 101 Dalmations and the Aristocrats!!! I absolutely love the new Disney prints! Think that I would choose the Aristocats. The 101 Dalmatians would be amazing! The Aristocats one, it's adorable! I love them all, it would be between the lion king & 101 dalmations. 101 Dalmatian one even though I love them all. Torn between Lion King and Aristocats! Sooo cute!!! DEFINITELY The Lion King - my favourite Disney film! I would choose the Aristocats. They're all gorgeous, but it would have to be 101 Dalmatians for me! I had 101 Dalmatians everything when it came out - curtains, bedding, bin, lampshade, lunch box..etc! Gosh, they are all fabulous but I would go for the unisex dalmatians. I would love the 101 dalmatians design. I love the Aristocats. They are all gorgeous though. They are all lovely, but I think I would choose the Lion King. I like the 101 Dalmations blanket. The Arisocats for my little girl! I would choose the 101 Dalmations - it is gorgeous! The Lion King is so GORGEOUS!! !My favourite!! They are all awesome!! I love the Simba design with his cheeky grin! I'd choose the lion king design. I love The Lion King one! The Lion King, I love it!! Would have tp be the cutesy Dalmations design, who doesnt love a Dalmation? Love them all but especially the Lion King one. 101 dalmations please but aren't they all just gorgeous. thanks for the chance. I would love the aristocats (marie) for my baby girl Una Rae.